One of the features that makes BEST a really unique no profit organisation is being a wide-spread one, unified under a common mission and vision. Established in 95 European technical universities, BEST ensures a broad range of students. Since one of the purposes of BEST is to connect students with companies, several international bodies of this organisation, helped by LBGs, have developed many services to reach this goal: one of which is BEST Career Support (BCS). BCD allows students to personally discuss their career with top managers and international recruiters. 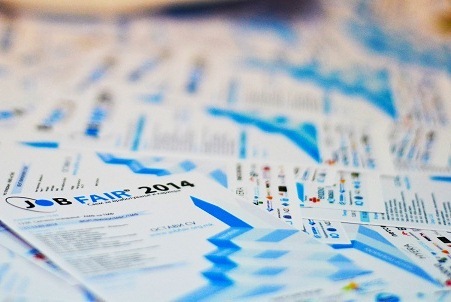 They get the chance to learn about the lastest industry trends and most lucrative career opportunities. The first part of the day includes presentations and workshops for students held by partners. 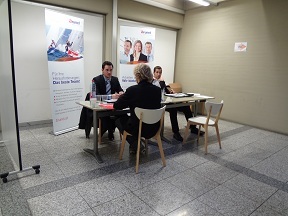 During the second part of the day the job fair and personal interviews take place, so partners can interact directly and personally with over 400 future engineers who match their participants’ profile. 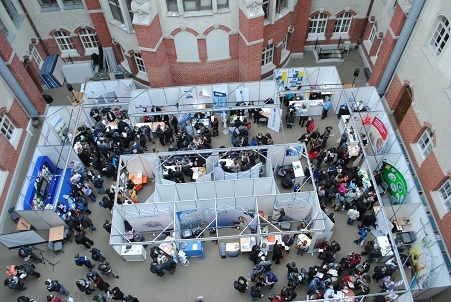 The CVs of all participants were available for partners before the career fair, thus enabling access to a large and detailed database of potential applicants. At the end of the day there is a cocktail party, allowing networking with a selected group of engineers. BEST Career Centre is the collection of all the online recruitment opportunities BEST Career Support offers. Here, students can find detailed information about our partners including job and internship opportunities they provide. Such information is available to anyone who visits BEST website. In order to be up to date with all the opportunities our partners offer, an account on BEST website and subscription to BEST Career Support is needed. This account also serves as the CV of the students as it collects information regarding their career, educational and extra-curricular activities.This year, more than 6.200 CVs were created.